No, I haven’t. 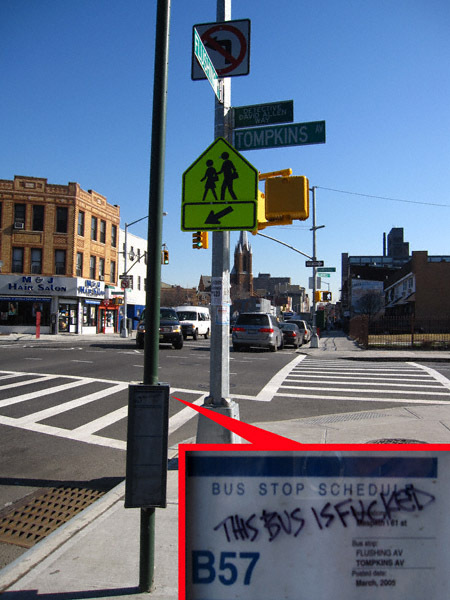 I usually walk everywhere because I don’t want to deal with the G train. But if the wait has been whittled down to a mere ten minutes I might rethink this! P.S. : You can read more about the Glorious G Train Series (and rest assured it is quite glorious) by clicking here. Reader Contribution Du Jour: Awwwww Fook! 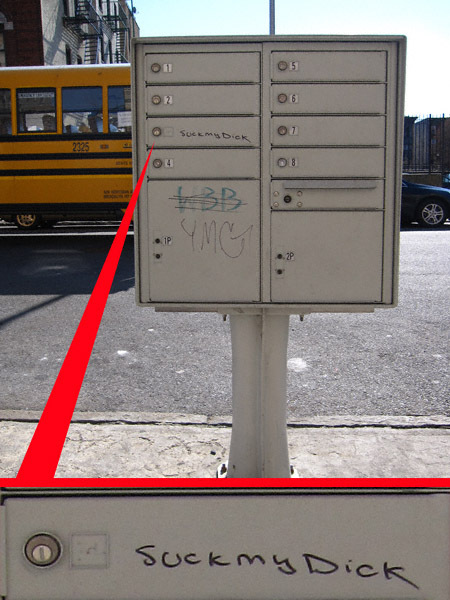 I know you venture to Bed Stuy once in a while – I was there last week and came across this joint. 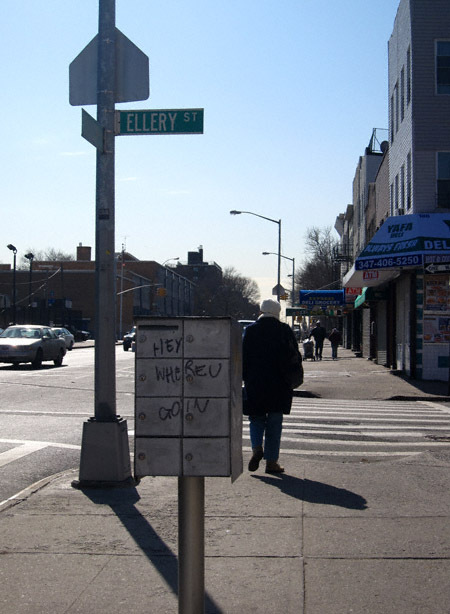 The Fook Hing Chinese Restaurant on Nostrand Ave. Close to the fook hing G stop. The sign says it’s fook hing delicious. 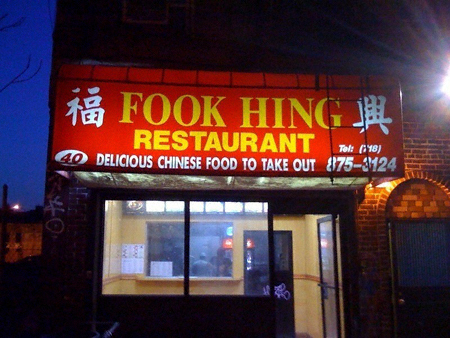 I’ll take their word for it – I didn’t try the fook hing chicken. But that’s a good thing because they got shut down for fook hing rats! I have no idea whatsoever why I find this so fascinating. I just do. 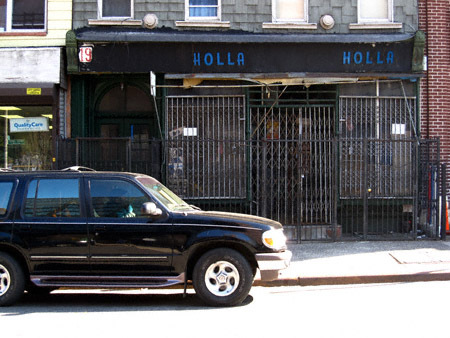 Bed Stuy Photo Du Jour: HOLLA! 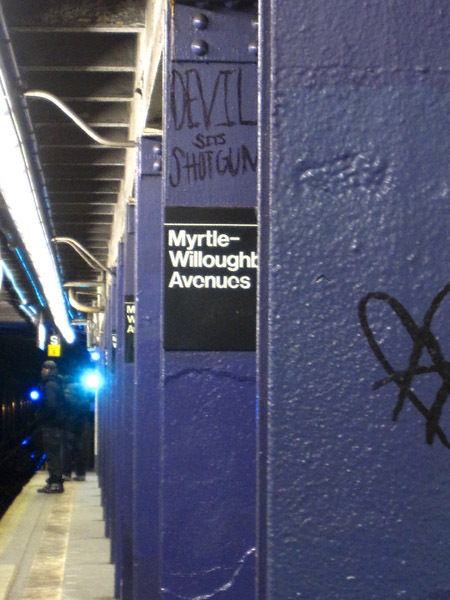 From the Queens bound platform at Myrtle – Willoughby.